Instant pot here, out and in to ice bath. They are either easy to peel or they basically fall out of the shell. <-- weekly use but if I want the ultimate control I use the sous vide so I can get any kind of yolk I want. And this takes us back to the top of this post! Saw the latest invention to cook shell-less eggs on a commercial. The gist is one breaks an egg in the holder, puts on the top cap, then cook the eggs, uncap it, and voila. Did not catch the name or price as I was half asleep. I think it was cheap enough to buy at a store, with no 3 easy payment schedule. No juicer or Ginsu knives included either. Crud. Has anybody in the world ever bought this and used it? This is the way to go. Never mind just something else to store and wash. Seems fingers and water are just too hard to figure out. HA! we bought one of those and it is a TOTAL FAIL! Jumping on an old thread to say electric pressure cooker, aka Instapot, all the way. We got ours for free and have not found ourselves using it for a lot of different cooking. We're mostly using it for hard boiled eggs that peel so easily and veggie or chicken broth that you don't have to tend to. I'd like to use it in a better variety of ways but it's ideal for these two things. Glad we didn't pay for it. We do make the occasional soup, risotto (great for this, no stirring) and I saved a batch of beans that wouldn't soften on my kamado with it. Melissa Clark of the New York Times has been really into electric pressure cookers the past couple of years. You can check her recipes if you want to see what else can be done with them. Totally Different Take Here: My wife is renowned for her deviled eggs, they are demanded forcefully at every Holiday family gathering. She usually makes 2 to 4 dozen at a time. Pealing the eggs was a tedious chore. 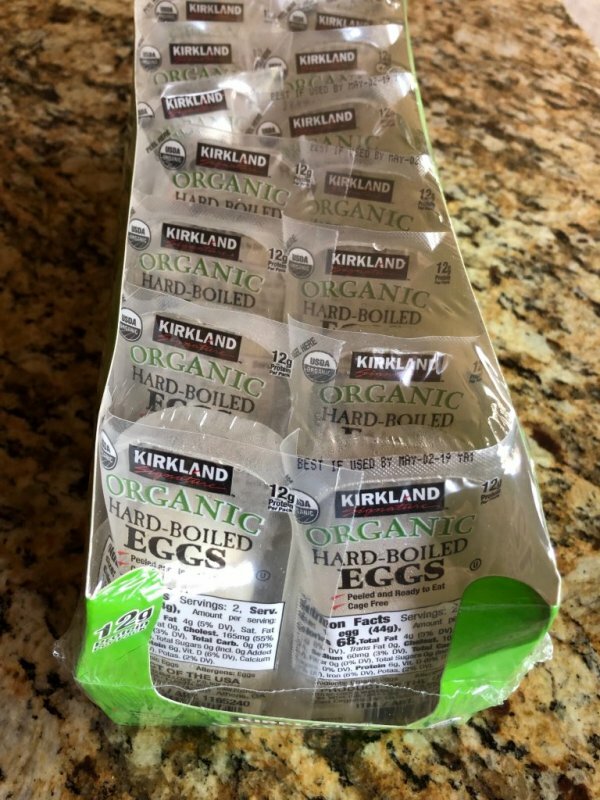 However, We found that CostCo sells shelled hardboiled eggs in boxes of 18 individually wrapped and sealed 2 egg packs. Greatest thing since sliced bread, IMO. The egg quality is great, we can't tell any difference between their eggs and the ones we were cooking at home, except CostCo's eggs don't have any blemishes from the shelling process. 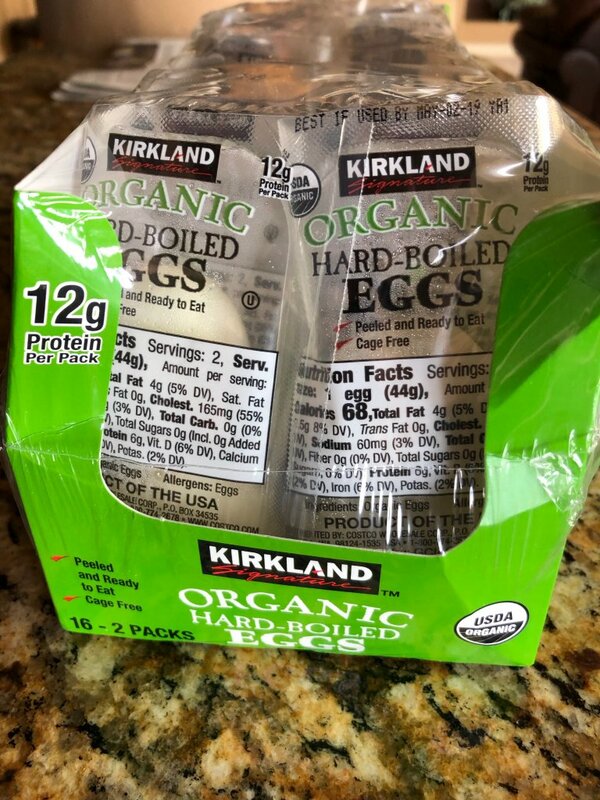 We get hard boiled eggs each time we go to Costco and just throw them in the fridge. Makes a great quick protein snack. We walk 6 to 8 miles most mornings, and each of us just grabs an egg before we go, as it starts the body burning protein and fat. Easily last a week or two in the fridge. No more hardboiled egg prep at home for me. This is just too good and too easy. I used to keep them in the fridge too but the max time is one week after peeling, and some sources say one day after peeling. Shell on is the way to store them FWIW. 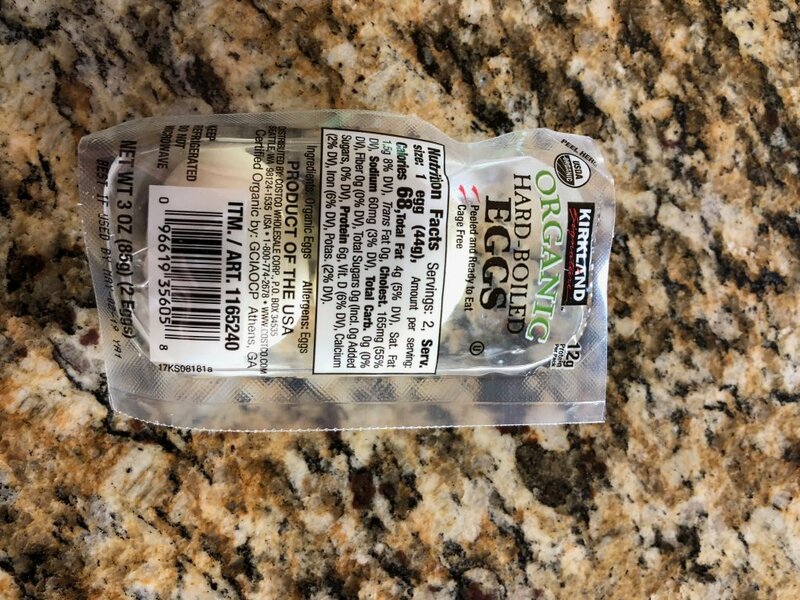 Remember the eggs I am talking about are individualy vacuum sealed in packs of two. Here is what they look like. Printed on the package is "best if used by May 2, 2019" I purchased them yesterday, April 10th. My wife and I find them amazingly good. We have been eating them for a couple of years after we first discovered them at CostCo. I have no idea how they shell them, but can tell you that each egg is absolutely perfect without any shelling blemishes. Pretty cool if you ask me. I checked the package and there is no information about which farm produced them. It only says that they are distributed by Kirkland. However, they are marketed as organic and cage free. Each pack has a label detailing specific nutritional values. I just read Thermoworks’s comparison of hard boiled egg cooking methods. Among Sous vide, steaming, boiling with a cold-water start, boiling with a boiling-water start, and blanch-shock-and-boil. They said steaming for 10 minutes followed by an ice bath resulted in the best, um, result. America's Test Kitchen's take on hard boiled eggs. *Add refrigerated eggs to a rapidly boiling pot of water. Bring water back up to a meduim simmer and cook uncovered for 13 minutes. Remove eggs and rinse very well in cold tap water to cool the eggs quickly. I then simply put then back in the fridge until I am ready to use them. 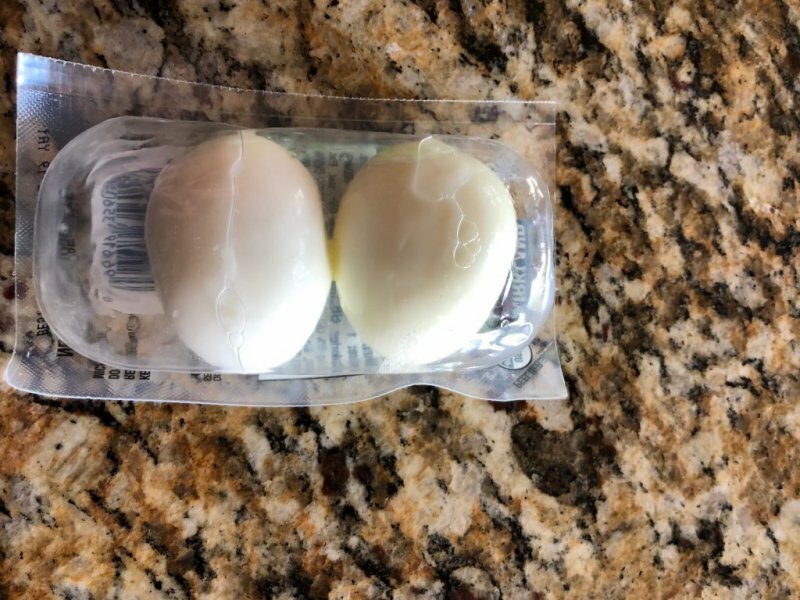 I take a boiled egg in the shell to work for breakfast most days and they always peel easily with no problem at all.